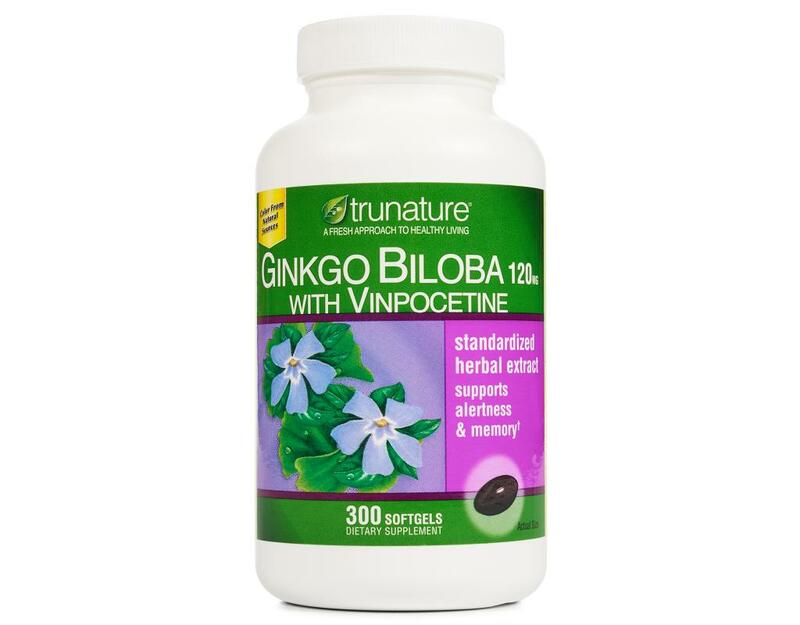 trunature Ginkgo Biloba with Vinpocetine helps support brain function and can help support memory, especially occasional mild memory problems associated with aging. 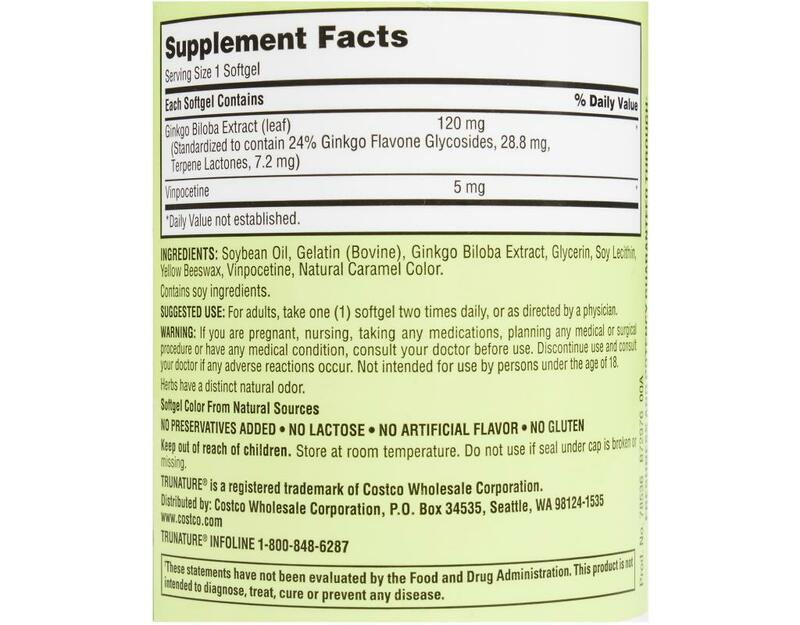 Ginkgo Biloba is known for its ability to support alertness, brain function and healthy circulation. Ginkgo Biloba helps to maintain peripheral circulation to the extremities. 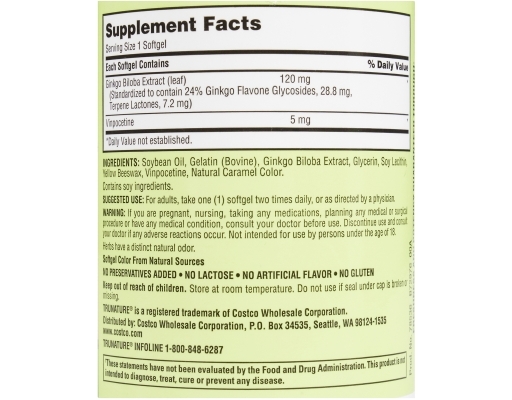 In addition, ginkgo supports mental focus and helps support memory, especially occasional mild memory and focus problems associated with aging. 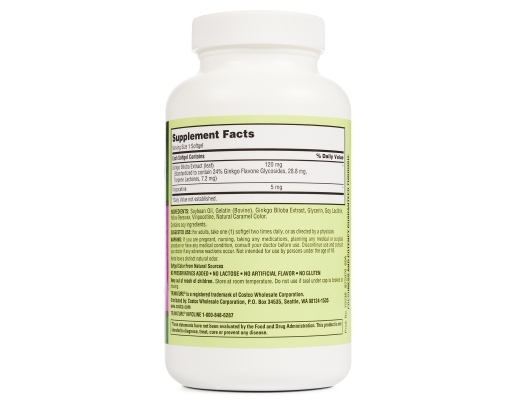 It also provides antioxidant support to help fight cell-damaging free radicals. The only source of Ginkgo Biloba in nature is from the Gingko Biloba tree. 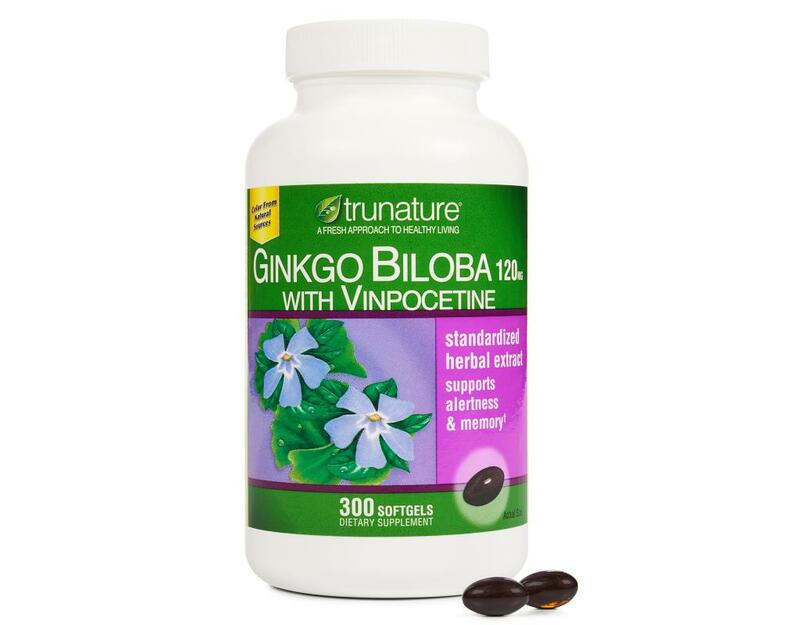 Ginkgo Biloba works as an antioxidant and contains flavone glycosides and terpenes that can help maintain healthy blood flow to the brain to assist function and mental clarity. 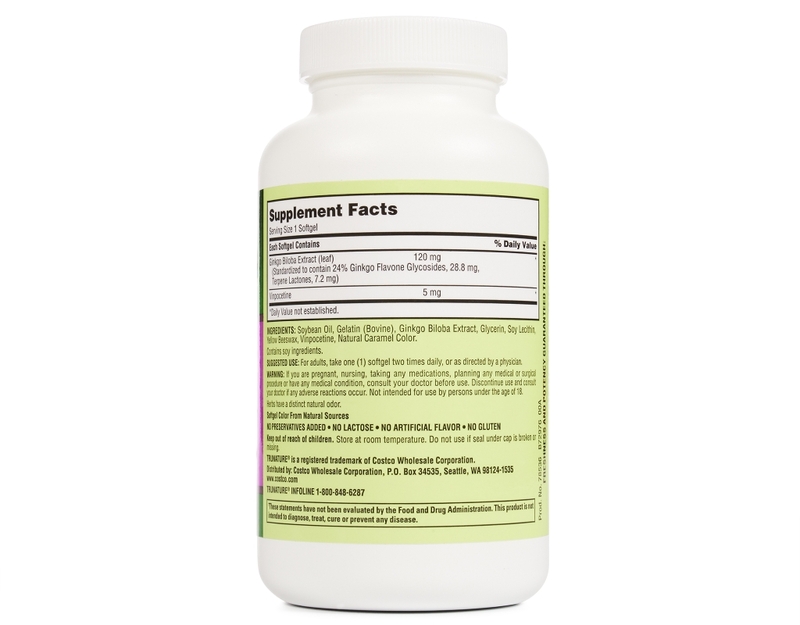 Flavonoid glycosides are a group of chemical compounds found in fruits and vegetables and known to have antioxidant properties. Terpenes are organic hydrocarbons produced by a wide variety of plants, and are referred to as terpenoids when they have been dried as in herbs or flowers.